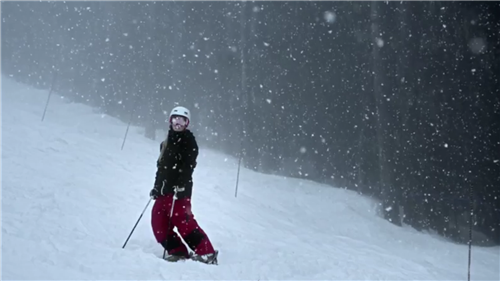 This is our live coverage of the Sochi 2014 Olympic Winter Games. 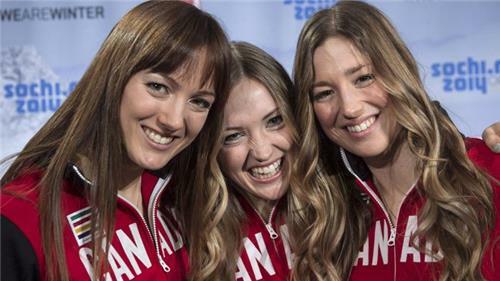 All live blogs of Canada's best athletes will appear here. To find specific coverage, see the links on the right! Moore-Towers and Moscovitch score 129.74. They are in first with 1 team left! 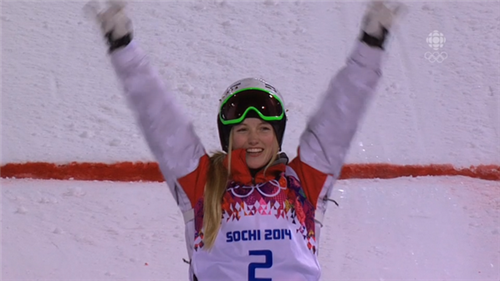 Alright, Justine is up next, followed by her older sister Chloé. Can the two of them squeak into the top 6 and advance? @TVASports Tough day for @3_SDL Maxime. 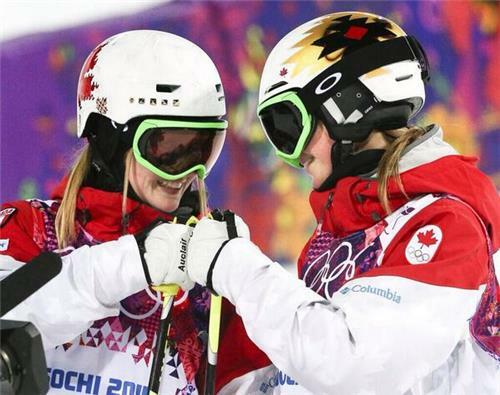 Sisters are close and I know she'll be cheering loudest for Chloe and Justine. WOO HOOOO! Justine moves into 1st with a 22.44. 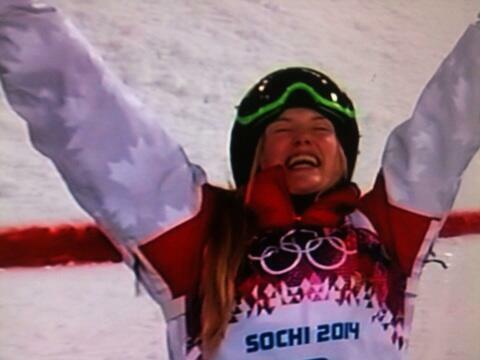 She is assured Canada's 2nd medal of the Games. Just a question of what colour. 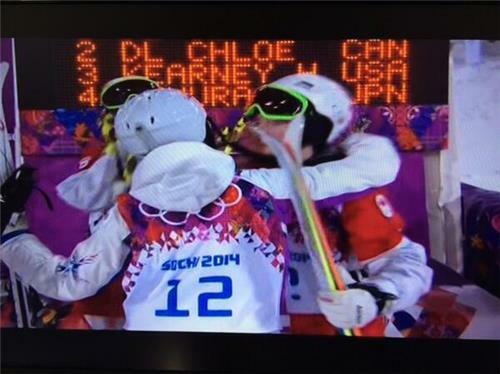 Can her sister Chloé join her on the podium?!?!?!?! 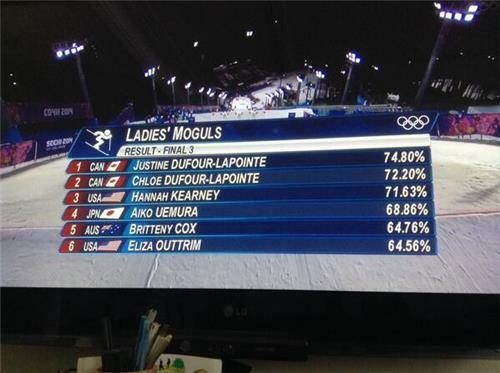 Justine Dufour-Lapointe is guaranteed a medal in the women's moguls. Her sister is up next. 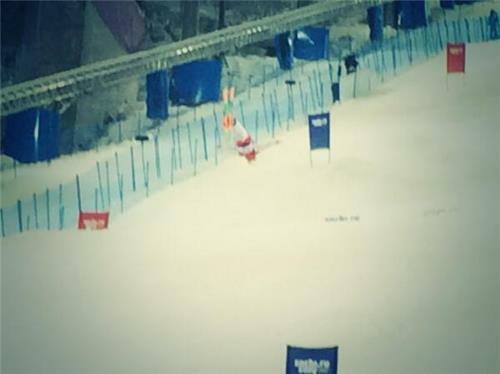 @HK_Ski Hannah makes a mistake on top jump!!! 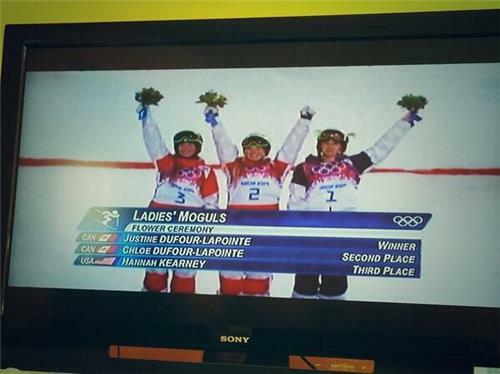 The two sisters on the right, Justine and Chloé, have won gold and silver respectively in the moguls final!!! 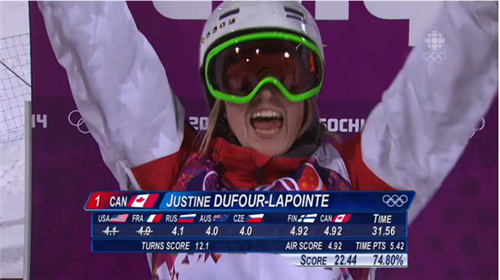 BREAKING: Justine Dufour-Lapointe of Canada wins Olympic gold medal in women's moguls. More coming. 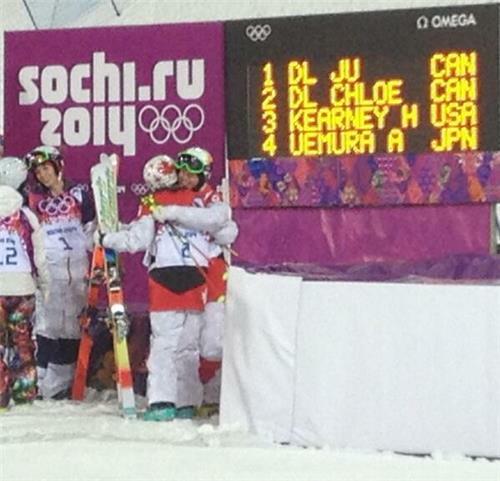 Sisters Justine & Chloe Dufour-Lapointe of @3_SDL win GOLD and SILVER in ladies’ moguls at #Sochi2014 #Canada #WeAreWinter Congratulations!